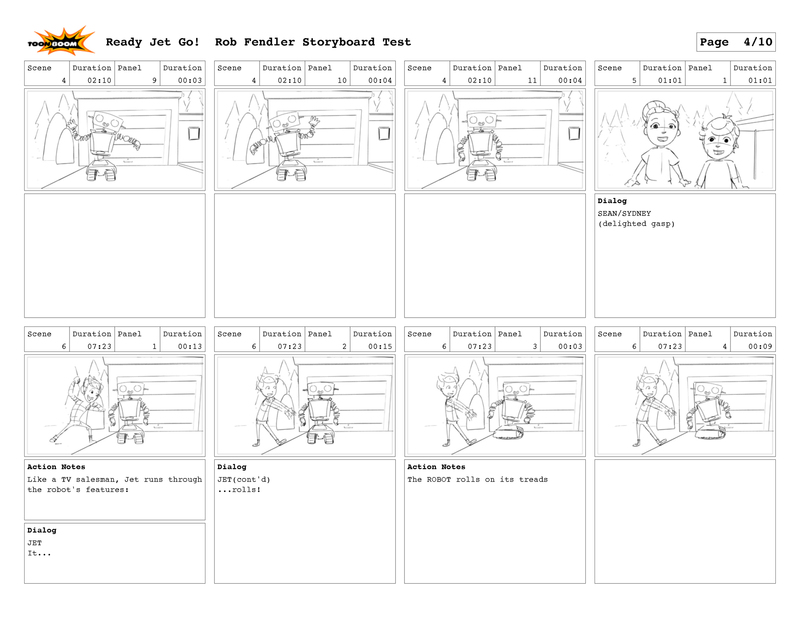 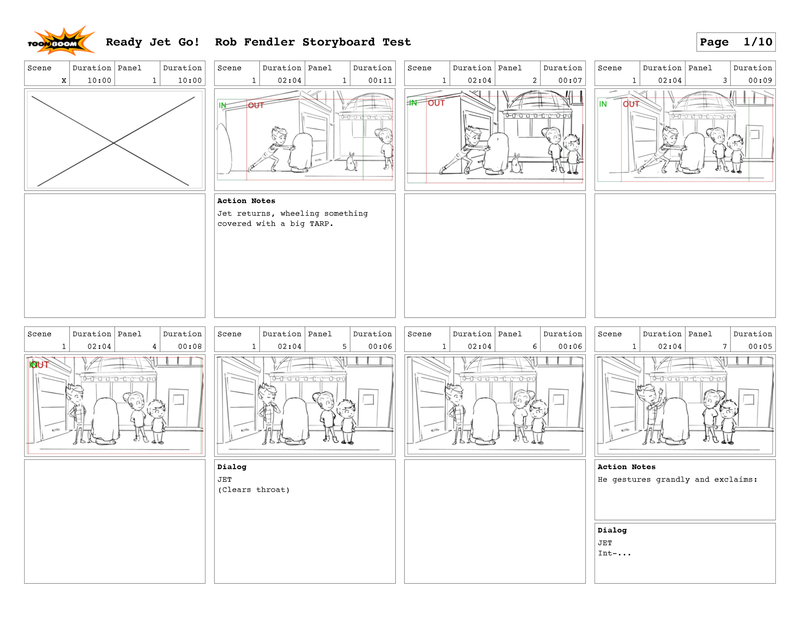 I’ve posted some recent storyboard tests here that I’ve completed for other studios as some alternative examples of my work. 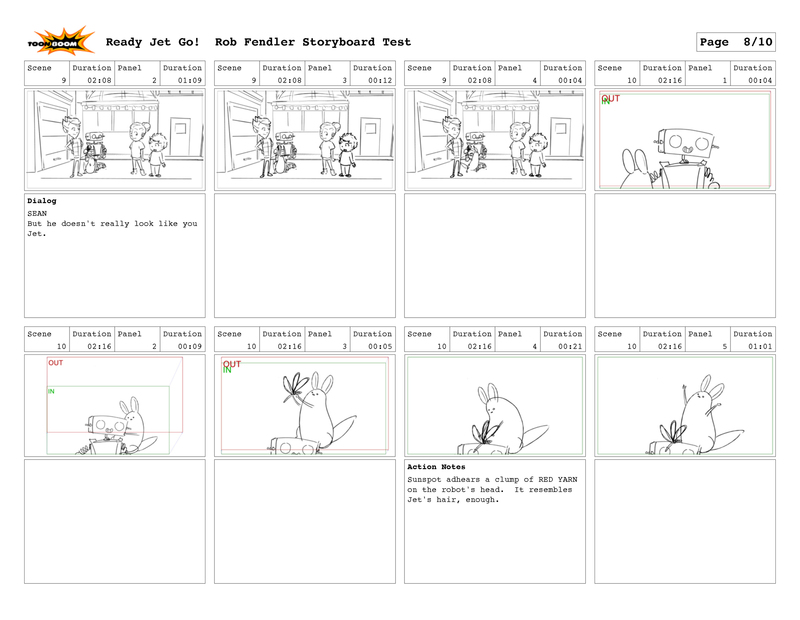 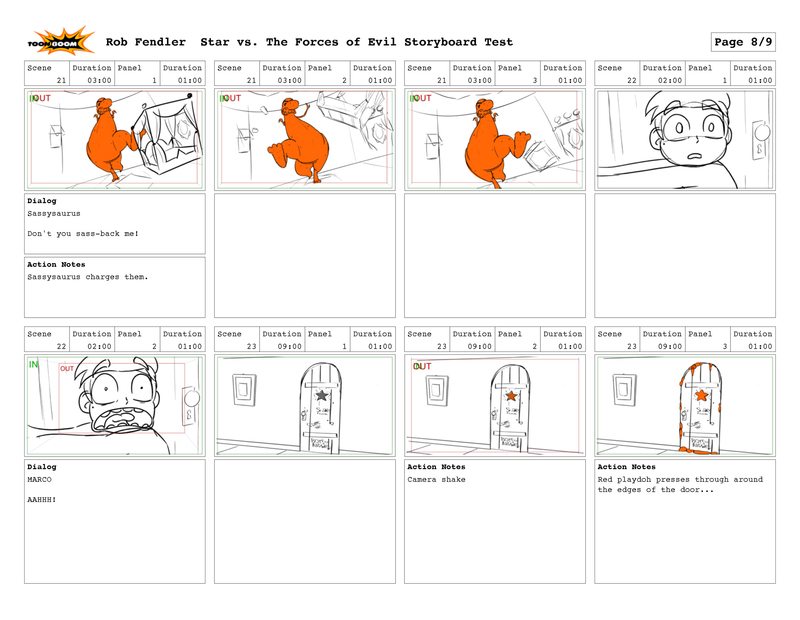 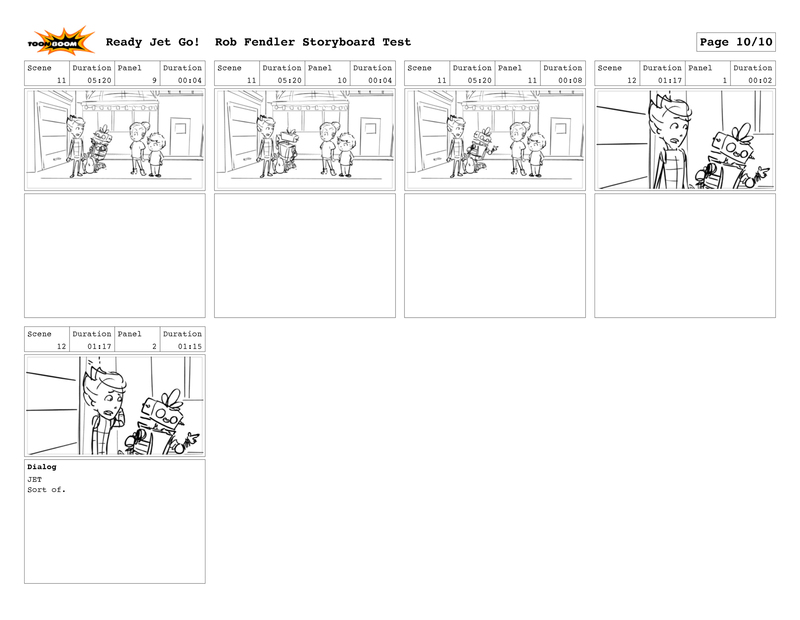 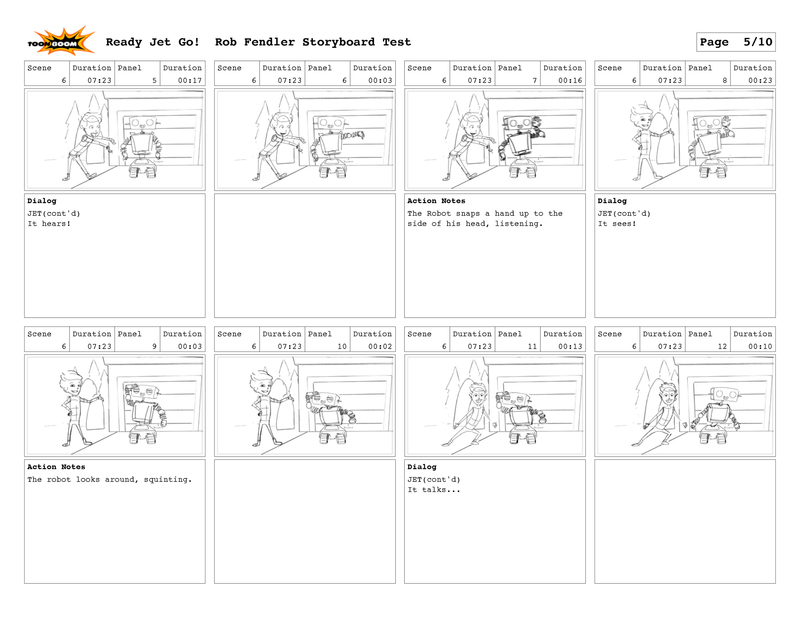 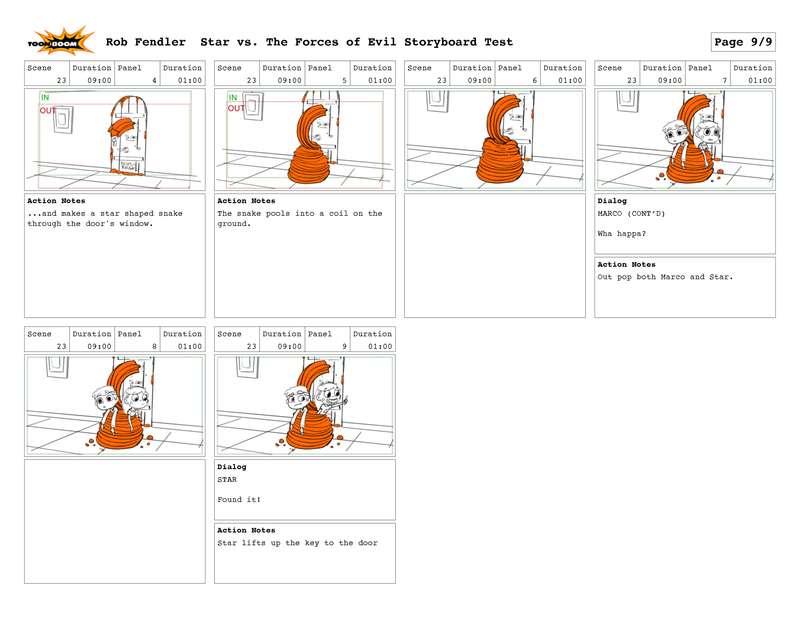 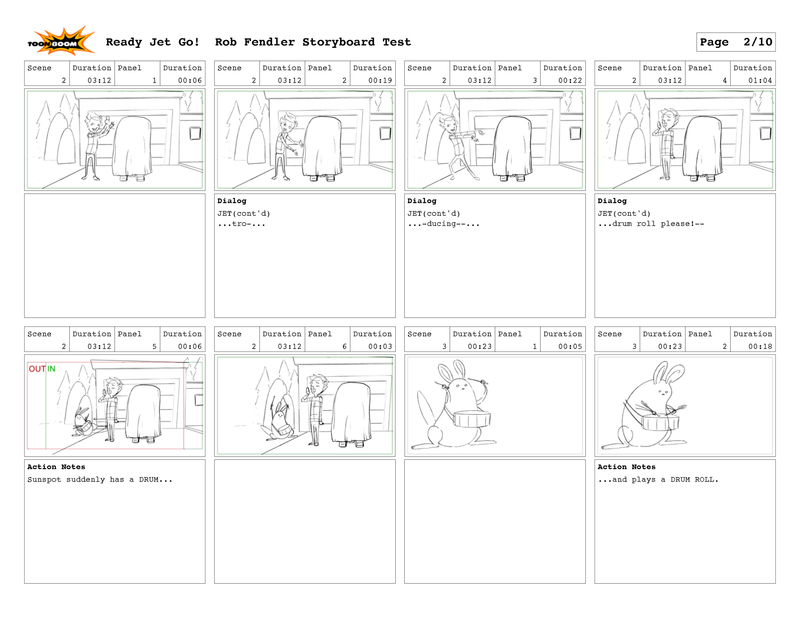 All of them were done using Storyboard Pro and exported to a specific requested format. 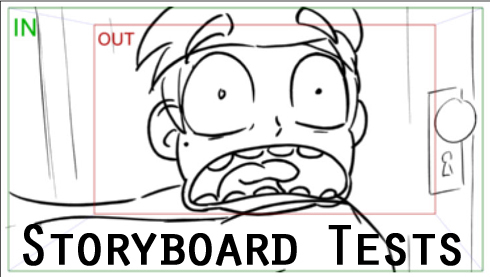 The instructions for this test was to write and board a sequence involving Star and Marco in her bedroom discovering the door is locked and what they do as a result. 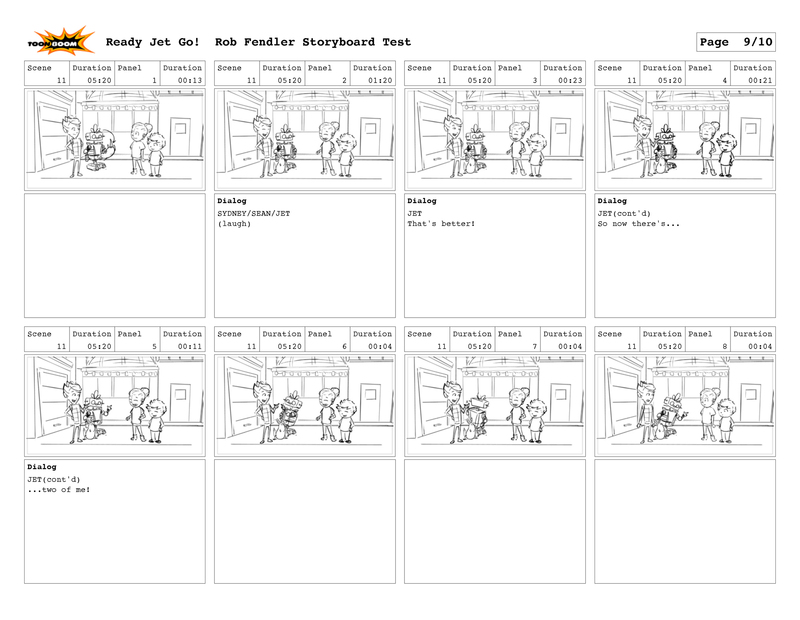 This test was for a CG animated PBS show off of a provided script.